The authorities of the U.S. Federal Bureau of Investigation have announced that they have arrested "Silk Road 2.0" operator Blake Benthall, used the alias "Defcon" in California on Wednesday and charged him with conspiracy to commit drug trafficking, computer hacking, money laundering and other crimes. 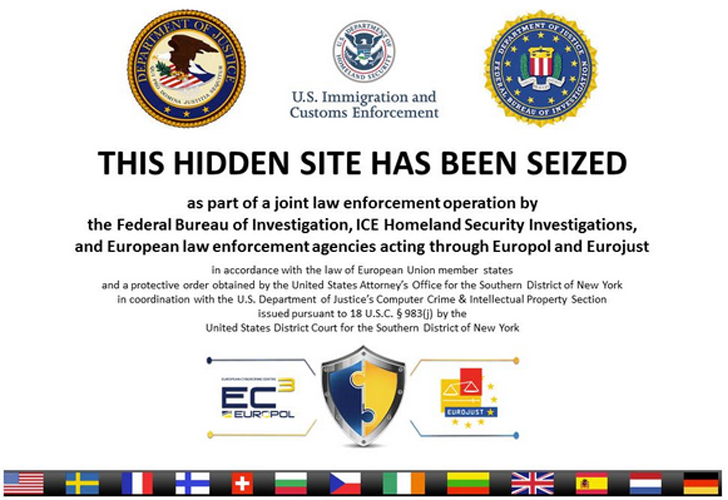 Silk Road 2, an alternative to the notorious online illegal-drug marketplace that went dark in October of 2013, has been seized in a joint action involving the FBI, Department of Homeland Security, and European law enforcement. "As alleged, Blake Benthall attempted to resurrect Silk Road, a secret website that law enforcement seized last year, by running Silk Road 2.0, a nearly identical criminal enterprise," Manhattan US Attorney Preet Bharara said in a statement. "Let’s be clear—this Silk Road, in whatever form, is the road to prison. Those looking to follow in the footsteps of alleged cybercriminals should understand that we will return as many times as necessary to shut down noxious online criminal bazaars. We don’t get tired." The arrest comes almost a year after the arrest of a San Francisco man Ross William Ulbricht, also known as "Dread Pirate Roberts," — the alleged founder of the dark Web online drug bazaar "Silk Road" that generated $8 million in monthly sales and attracted 150,000 vendors and customers. At that time, FBI seized the notorious site, but the very next month, a nearly identical site, Silk Road 2.0, opened for business. The Feds and the US Department of Justice claim 26-year-old Blake Benthall launched the notorious Silk Road 2.0 on Nov. 6, 2013, five weeks after the shutdown of the original Silk Road website and arrest of its alleged operator. Benthall appeared Thursday afternoon in federal court before Magistrate Judge Jaqueline Scott Corley, where Assistant US Attorney Kathryn Haun told the judge that Benthall is a "severe flight risk," according to the San Francisco Chronicle. Benthall is charged with conspiring to commit narcotics trafficking, conspiring to commit computer hacking, conspiring to traffic in fraudulent identification documents and money laundering. If convicted, he could be sentenced to life in prison. Silk Road 2.0 operated much the same way as its predecessor did, it sold illegal goods and services on the Tor network and generates millions of dollars each month. As of September 2014, Benthall allegedly processed $8 Million in monthly sales, according to the FBI. In order to maintain the the anonymity of buyers and sellers, Silk Road 2.0 offers transactions to be made entirely in Bitcoin, as well as accessed through The Onion Router, or TOR, which conceals Internet Protocol (IP) addresses enabling users to hide their identities and locations. According to the FBI, it bought 1 kilogram of heroin, 5 kilograms of cocaine, and 10 grams of LSD from Silk Road 2.0, apparently from Benthall himself. "The offerings on Silk Road 2.0 consisted overwhelmingly of illegal drugs, which were openly advertised as such on the site. As of October 17, 2014, Silk Road 2.0 had over 13,000 listings for controlled substances," reads the complaint. "Silk Road 2.0 had over 13,000 listings for controlled substances, including, among others, 1,783 listings for 'Psychedelics,' 1,697 listings for'“Ecstasy,' 1,707 listings for 'Cannabis,' and 379 listings for 'Opioids,'."